According to the annual performance report, you have failed to meet the sales target assigned to you this year. 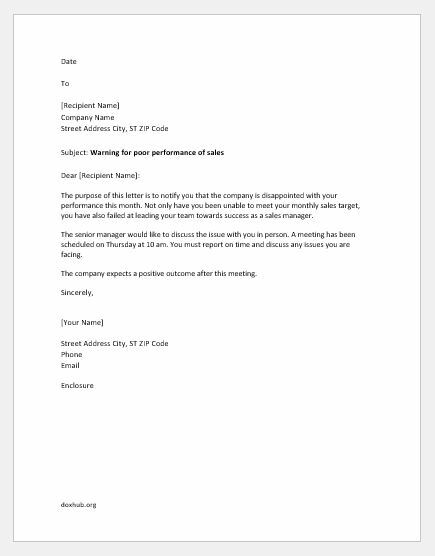 This letter, therefore, serves as a warning against your unsuccessful sales performance. You must show a noticeable improvement within the next two months. Failing to achieve your new sales target within the given time may cause you to lose your job. 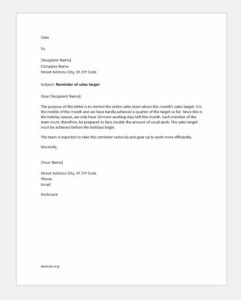 In case you encounter any issues with your work, report immediately to the management so that timely action can be taken to assist you in reaching your sales targets. After all, XYZ Company believes in working as a team. The company expects a positive response from you for this warning. 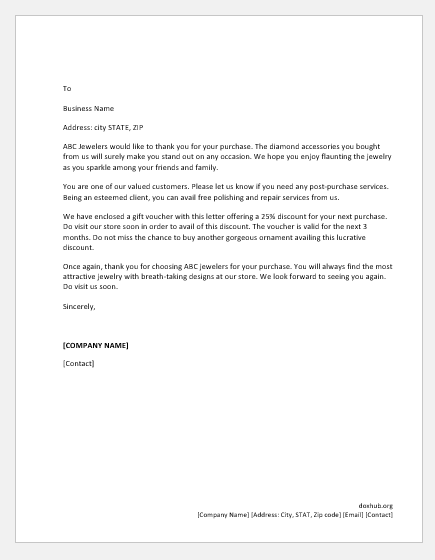 The purpose of this letter is to notify you that the company is disappointed with your performance this month. Not only have you been unable to meet your monthly sales target, you have also failed at leading your team towards success as a sales manager. The senior manager would like to discuss the issue with you in person. A meeting has been scheduled on Thursday at 10 am. You must report on time and discuss any issues you are facing. 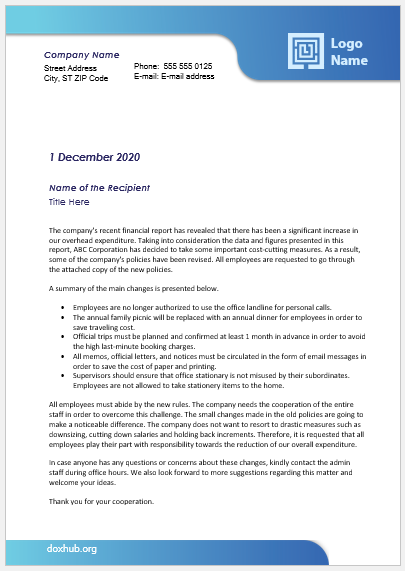 The company expects a positive outcome after this meeting. 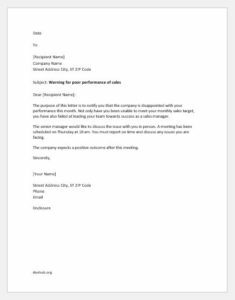 This is a warning letter for your poor performance at work. 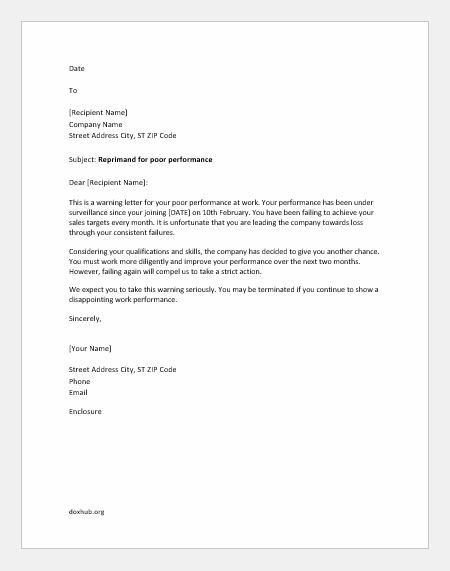 Your performance has been under surveillance since your joining [DATE] on 10th February. You have been failing to achieve your sales targets every month. It is unfortunate that you are leading the company towards loss through your consistent failures. 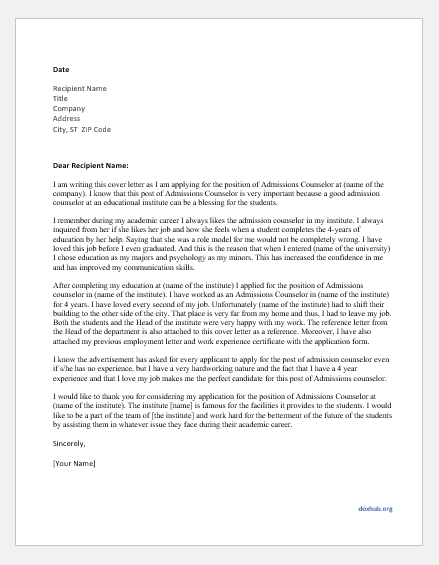 Considering your qualifications and skills, the company has decided to give you another chance. You must work more diligently and improve your performance over the next two months. However, failing again will compel us to take a strict action. We expect you to take this warning seriously. You may be terminated if you continue to show a disappointing work performance. 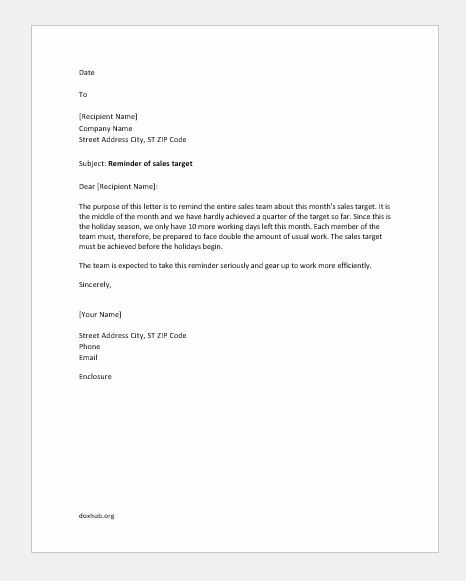 The purpose of this letter is to remind the entire sales team about this month’s sales target. It is the middle of the month and we have hardly achieved a quarter of the target so far. Since this is the holiday season, we only have 10 more working days left this month. Each member of the team must, therefore, be prepared to face double the amount of usual work. The sales target must be achieved before the holidays begin. The team is expected to take this reminder seriously and gear up to work more efficiently.